For construction contractors, managing and optimizing equipment performance hasn't historically been a top priority on their lengthy to-do list. Even though it's among of the costliest pieces of a construction project, analyzing equipment performance and optimizing its operation often falls to the wayside behind more demanding areas like safety and project timelines. That is until telematics and other machine and service technologies came along that open contractors to equipment insights they never thought possible before. To give some background on the impact built-in equipment technology has had on construction contractors-how it's transformed fleet management and shifted the relationship between contractor and equipment dealers-I spoke with Larry Stewart, editor of ForConstructionPros.com. Larry has worked in the construction and equipment industry for more than twenty-five years and has followed the progression contractors have made in the last decade toward greater reliance on technology, more sophisticated data-based insights, and a stronger focus on data-backed decisions to manage equipment fleets in the field. Manufacturers have been analyzing equipment performance internally for years. But it wasn't until about five or six years ago, said Larry, that they started putting telematics sensors on machines as standard equipment. Even then, manufacturers weren't always getting the buy-in they expected from end users. "It was obvious to buyers that while there were probably advantages to the technology, it wasn't a high priority on their radar screen." Then, Caterpillar changed the scene by engaging its dealers in a marketing effort called Across the Table in the spring of 2014 that is helping make telematics a priority. One objective of Cat's Across the Table initiative is to improve dealers' parts and services business. 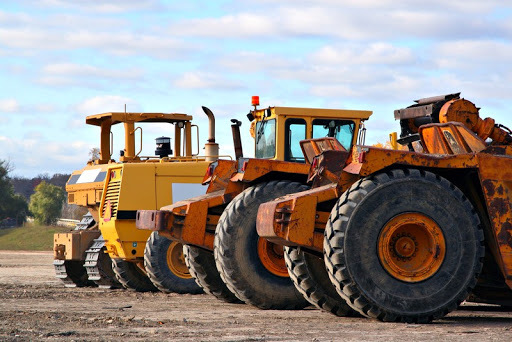 Caterpillar's Product Link telematics solution is a key tool in helping them succeed with this initiative. As such a crucial vendor in the industry, Cat's focus on telematics is encouraging other equipment owners to rely more heavily on the technology as well. "Within the last two years, the leading player in the market place is saying, this technology is so important that we're building a major part of our business success model on making it work," said Larry. That got everyone's attention. Caterpillar sees its dealer network as its biggest competitive advantage, and Across the Table emphasizes the importance of dealers' relationship with customers. This short video from Cat explains more about the background and philosophy of Across the Table: Caterpillar "Across the Table" Initiative. In a recent interview Larry conducted, leaders on the Caterpillar team answered the question: "Why Caterpillar is Using Machine Data to Solve Contractor Problems Now?" The Cat representative explained how the sensors built in equipment optimize what the customers do. For example, when you add analytics to a machine, you get into prescriptive or predictive maintenance in which the sensors can predict what parts a user needs and when they need it.